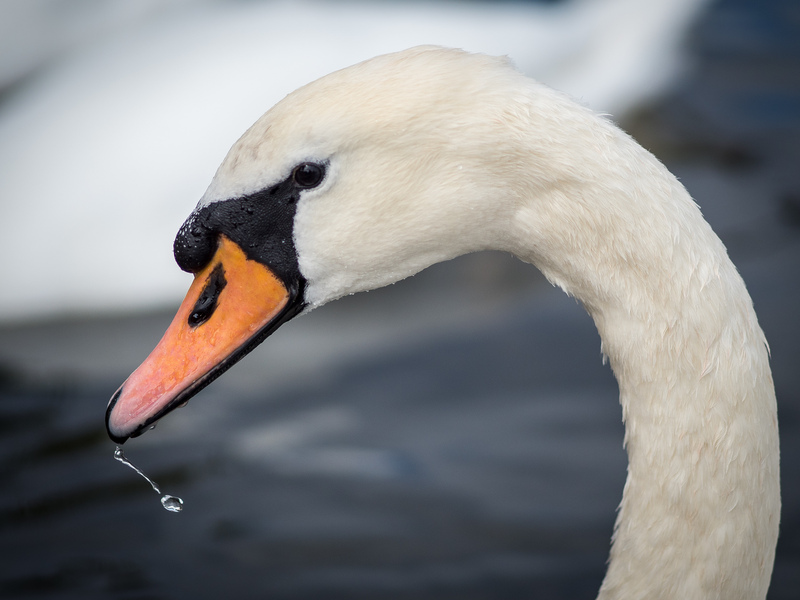 Swans, like most birds, have that maniacal glint in their eyes that hint at wondrous misadventures. This swan lives on the Serpentine in Hyde Park, a lake named for it’s abundance of bread-feeding tourists. Hidden behind a metal camera and feeling somewhat cavalier towards the possibility of my eyes being pecked out I got as close as I could and caught this water drop with a swan firmly attached. This is an absolutely gorgeous shot. Well done! I take it you never experienced an angry swan 🙂 Great picture btw.